Malcolm Merlyn is a man of many secrets, for whom deception is as vital as oxygen. Yet the truth may be the only thing that can save him when he is locked in a death trap by an unknown enemy and bidden to tell the whole story of his exciting past. 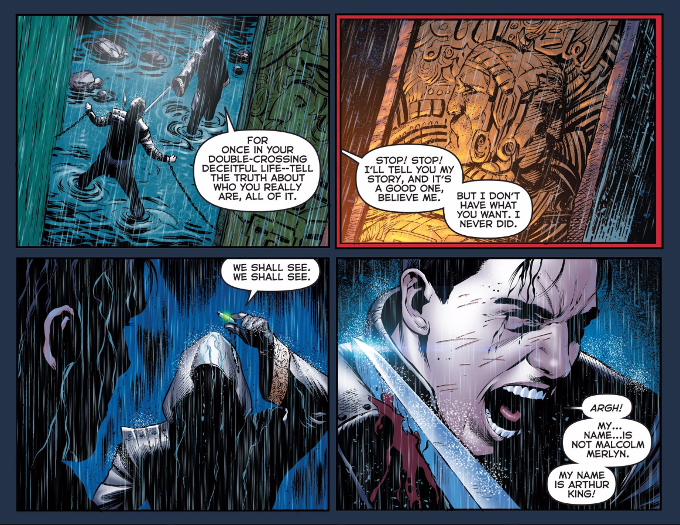 Here now is the untold tale of the man who would become Ra's Al Ghul... a man once called Arthur King. 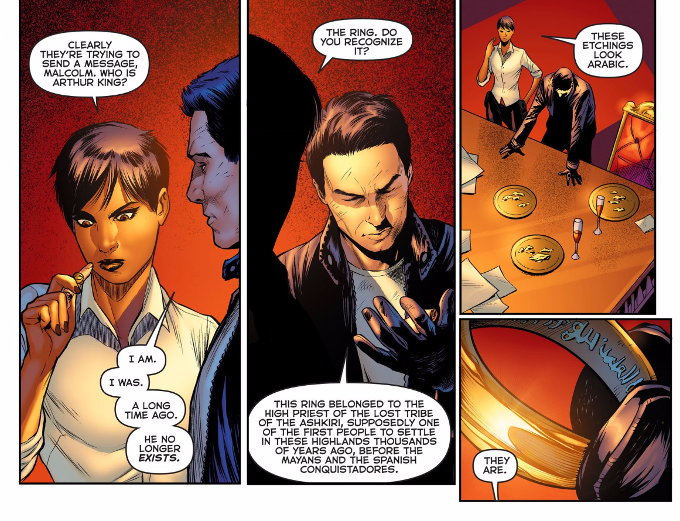 It might strain credibility that Malcolm Merlyn could have been part of a secret society long before he became a billionaire industrialist and joined The League of Assassins. Thankfully, the rich tale spun by John and Carol E. Barrowman proves so riveting you'll gladly suspend your disbelief for the sake of a good story. And this is a good story!